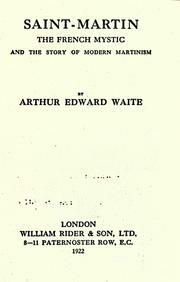 1 edition of Saint-Martin, the French mystic, and the story of modern Mar... found in the catalog. Add another edition? 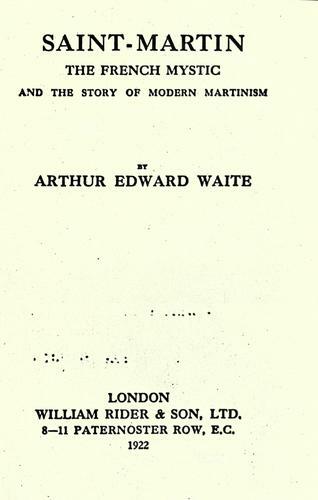 Published 1922 in London, W. Rider & son, ltd .